152 Insights to My Soul: Ho ho ho! I've been off work 2 1/2 weeks now. And I have to admit, I don't miss it. Confession: I really expected to miss work -- especially the covering news and writing stories part. A friend asked me the other day if I was surprised how little I cared about the news. Definitely surprised. But perfectly content. And, thing is, we're busy. I really don't know how I'll manage to fit my job back in, but I guess I'll figure that out in 3 1/2 weeks. I am going to work from home more in the afternoons and evenings, so surely I can make the morning office time fit in. So, I know you must be asking yourself: What does this have to do with Santa? Well, nothing, really. But this Santa and that sign were in our front yard just like that when we got home last Monday. Random? Yes. But here's the brief story. 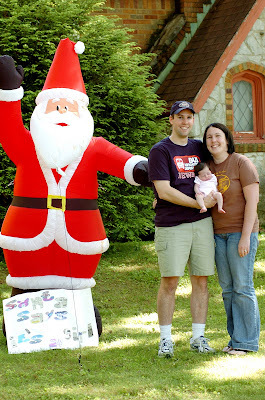 Last year when Luke was born, our friend Brandon put this inflatable Santa in the Tompkins' yard as a welcome-home greeting. Then the Tompkins repaid Brandon the favor in March on his birthday ... in front of the church. So, no, I wasn't surprised to see Santa greeting us when we pulled in the driveway. Jaclyn made a new sign -- "Santa says it's a girl" -- for our ocassion. Storms came a couple days later and we temporarily had to deflate Santa so he wouldn't blow down Sycamore Street. (I mean, it wouldn't have been a secret from where he came! No, not the North Pole, but from our yard!) Anyway, we resurrected him this weekend and Michael kindly took our family portrait. So, we're home, as Santa announced to all the passers-by. For now, Santa is stored away from the next appropriate (rather, really, out-of-season) event. But, let me tell you, Cate is better than any Christmas present. Okay.. You have to go back to work. The Ledger & Times is a sinking ship without you. Just today, we had a 25-column inch about Robbie Rudolph that did not even mention a certain patronage scandal and more drivel from the Paris Flash on the sports page. Even with you, the Ledger is a push at 75 cents. Without you, it owes me money for buying it. BTW.. Hope you enjoy spending time with your family. Some politicians do as well. No worries ... I'm coming back to work. I'll take your comment about the price of the paper as a compliment. And I'm pretty sure you implied that my story about Robbie would be better, so I'll take that as a compliment, especially coming from a Democrat. I think, once you get back to work in a newsroom, you will care about the news in ways you never did before. 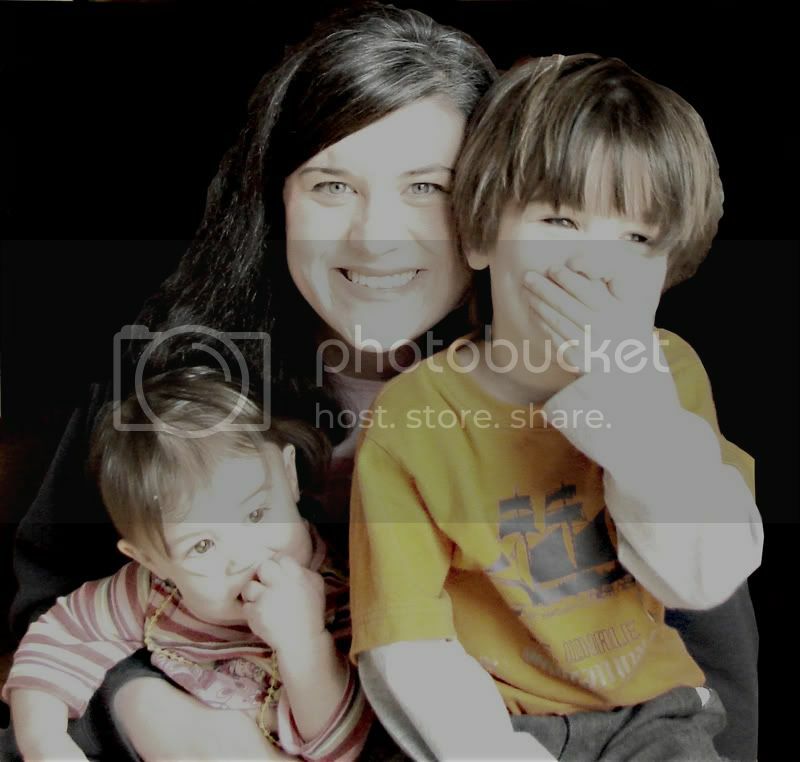 I almost quit in the weeks after my son was born because I found myself unable to compartmentalize at all when I saw a story about something bad happening to a child. I learned how to balance it after a while, though, and I think I've become a better journalist for it. But man, you never look at the six o' clock news the same way again after you're a parent.